Gold has been one of the precious things since the dawn of civilization up to now. It carries with it elegance, luxury and high quality. Business cards, on the other hand, is still one of the most effective tools in promoting yourself, your company or services that you offer. 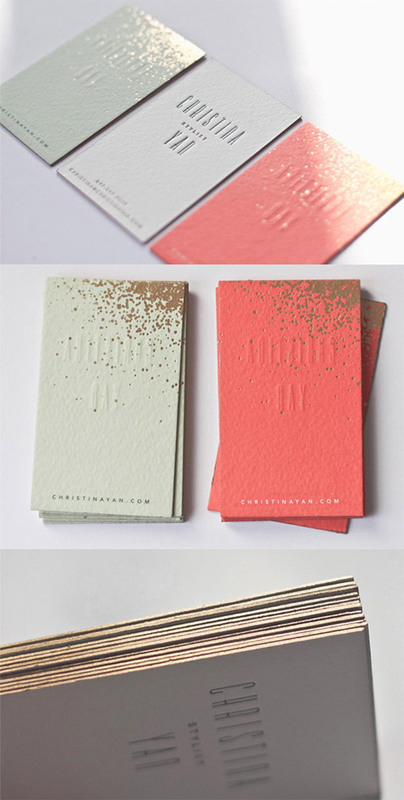 With this, it is actually not a bad idea to put some of the ‘gold’ effect to your business cards. 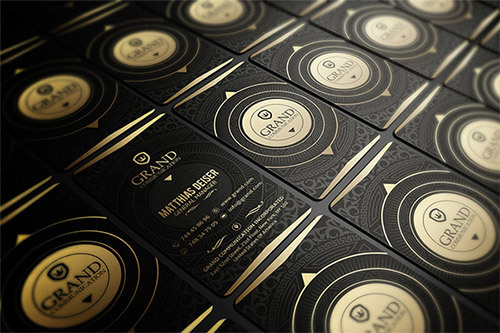 Today, we have gathered some of the Business Card designs that have gold elements for you to see their effect and maybe get some ideas and inspiration on how you can use these on your own business card design. Scroll down and check them all out below. Come, take a peek, and enjoy. 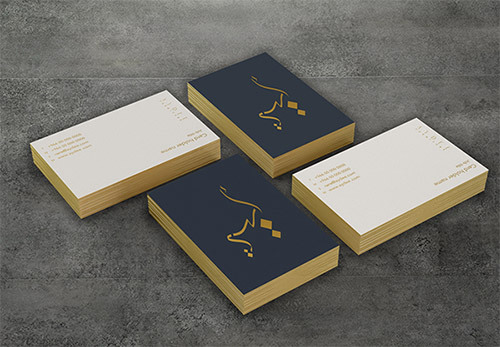 A minimalist business card design with beautiful gold accent and gold edge painting. 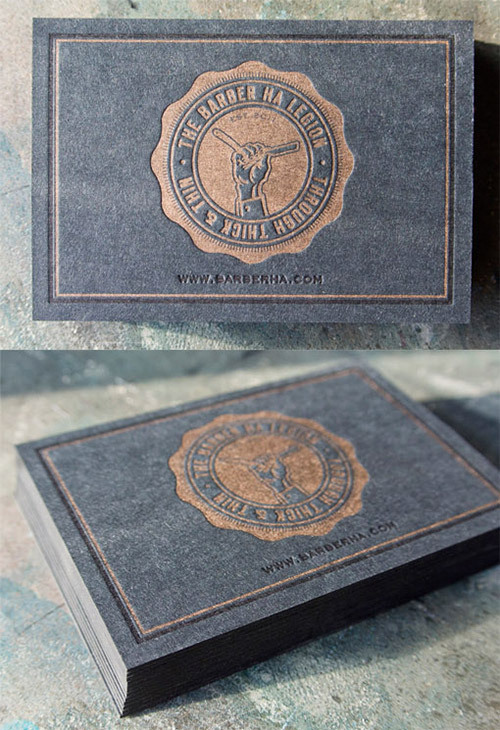 The black and matte gold ink used in this business card nicely gives an antique feel to it. 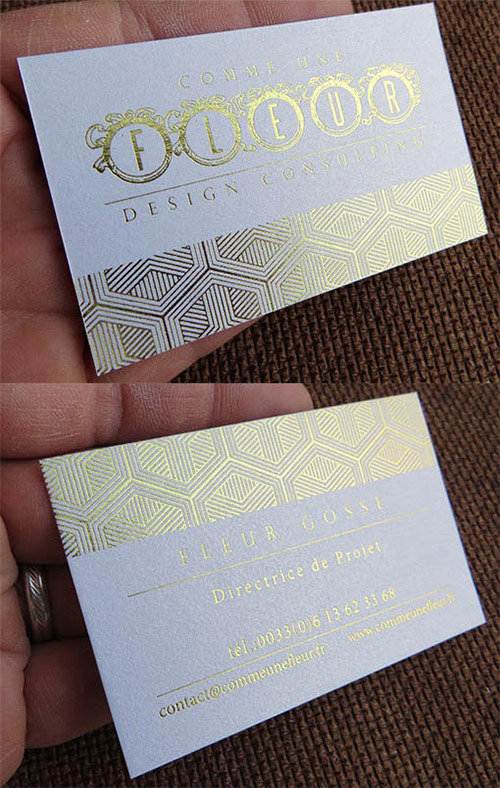 A nice business card design with a stylish gold edge paint. 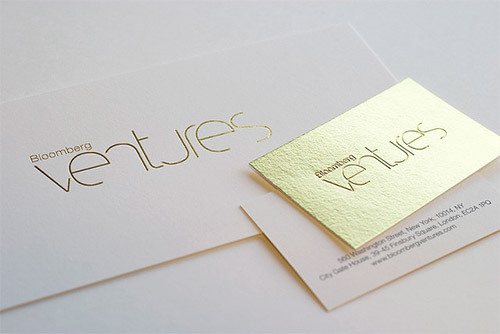 This is a white minimalist business card design with gold foil that gives the palette simple but classy feel. 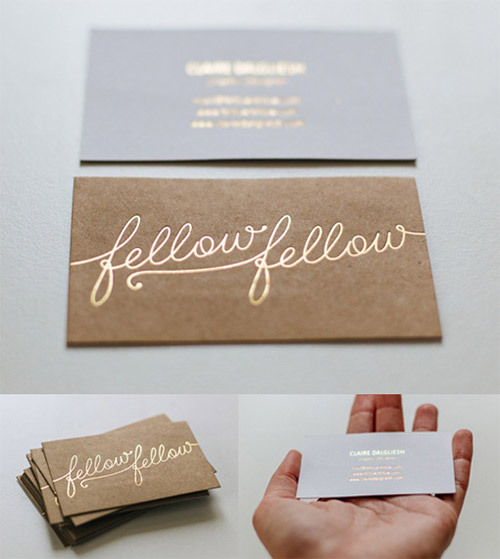 This business card has beautiful pattern and texture as well as gold foil for the letters. 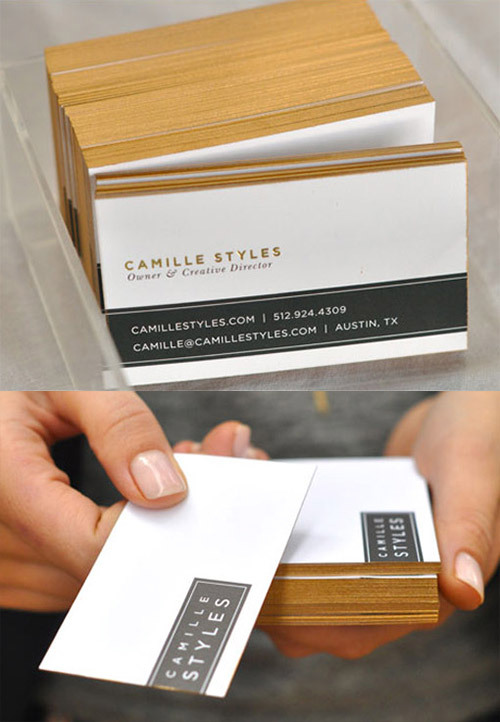 This business card with its gold foil edge paint and minimalistic design shows simplicity and elegance. 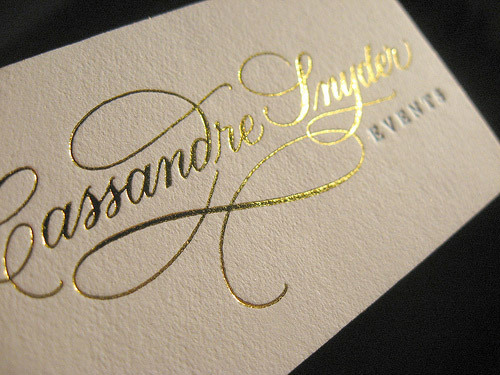 This beautiful letterpress printed business card uses the technique a gorgeous texture to the background of the card and gold foil for the letttering. 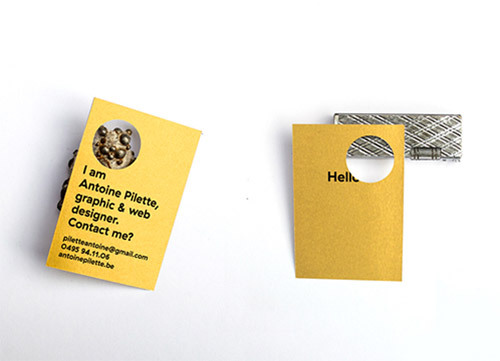 An intricately designed business card that shines in gold for a more noticeable design. Black printing on a white card alone can be a little boring so these cards have been given gold foil accents which add some artistic flair and a little luxury. The metallic foil is super shiny and using it to print the intricate pattern on the card actually creates a little texture and dimension. 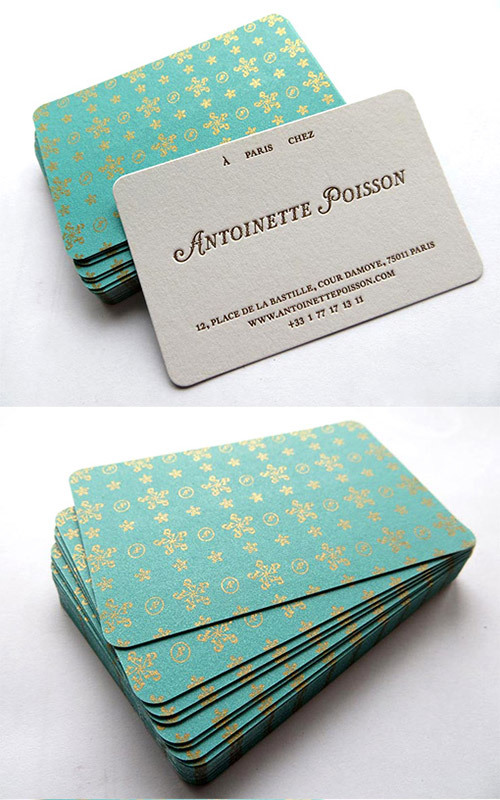 This beautiful business card design takes its inspiration from Victorian era wallpaper patterns in gold. 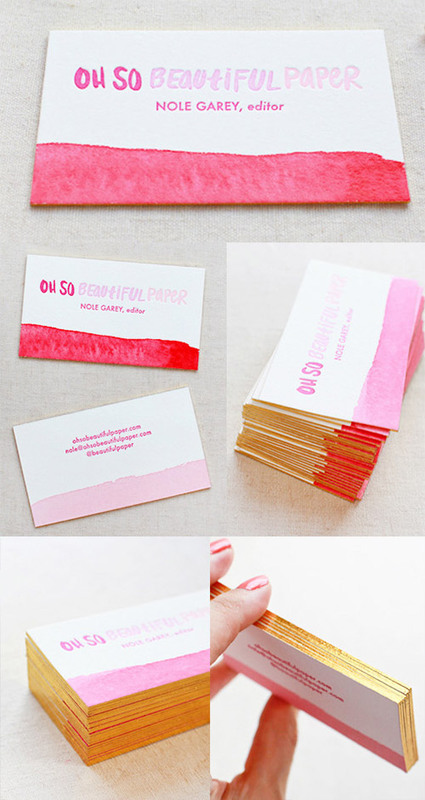 A card this bright and glammed up is impossible to ignore. 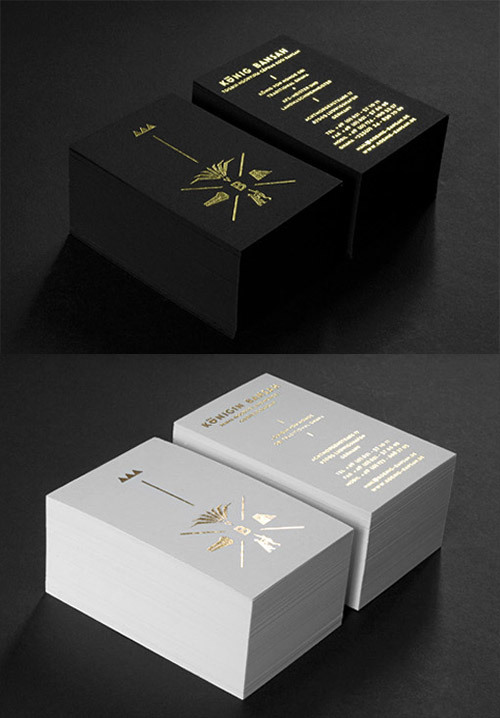 These cards use a simple combination of black, white and gold to create a set of very professional and stylish business cards. 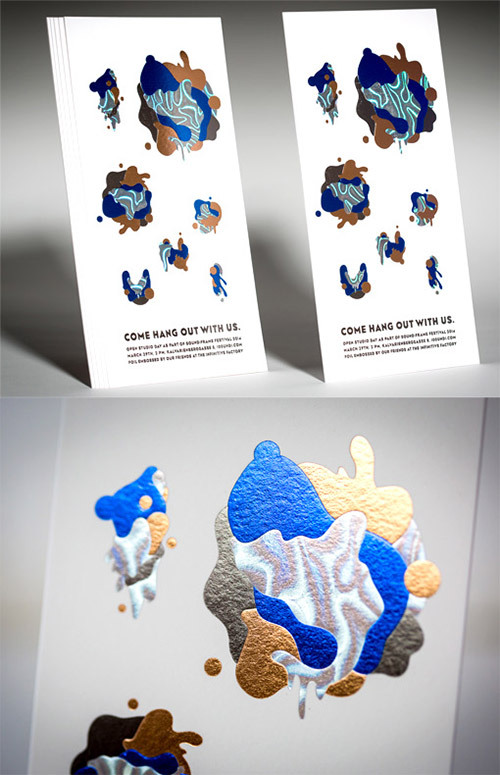 These beautiful cards are an interesting combination of letterpress printing and hand painting with gold edge-painting. The splashes of colour on the cards have been printed in a variety of different coloured foils which have that bright metallic shine that only foil can give. A simple but very effective card design, this one shows off the lovely typography of the logo to excellent effect with the use of gold foil. 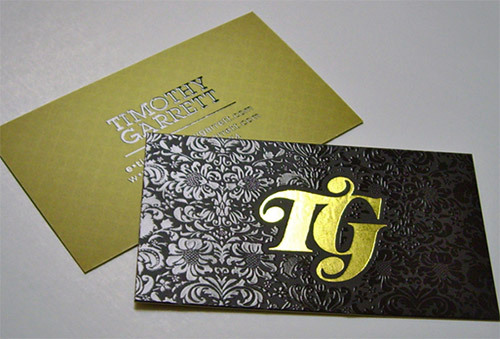 The matte black and gold foil makes the business card look sophisticated and professional. 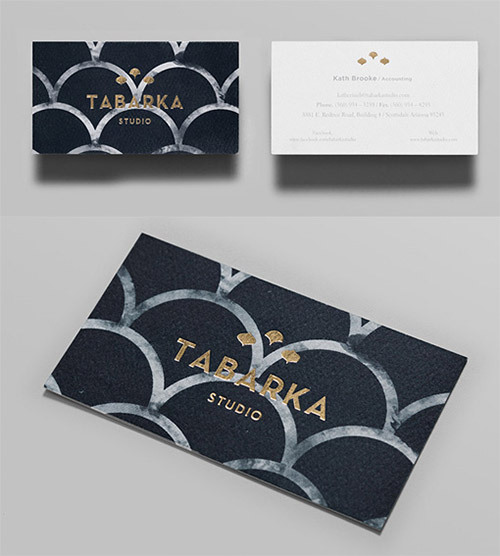 This beautiful set of business cards was designed with patterns and letters in gold and silver foil and finished with matte gold edge painting. 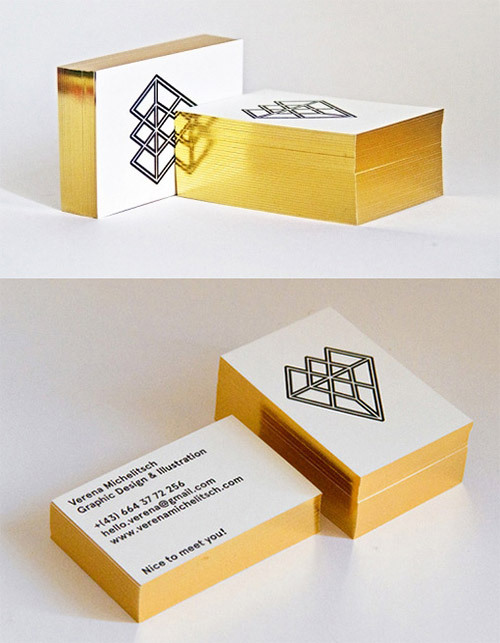 A business card all in gold with black letters. 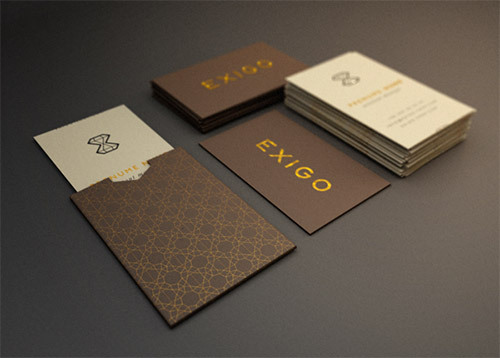 A classy business card with its elements, letters, and edges in gold. A classy and high quality business card design suitable for any kind of business. This business card has its information and logo in gold in a black background giving it a professional and elegant effect. 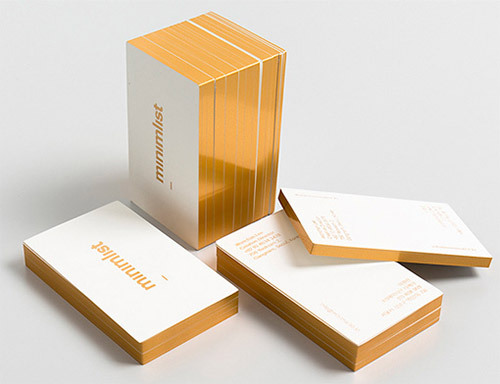 A beautiful and luxurious-looking business card with one side in shiny gold foil. 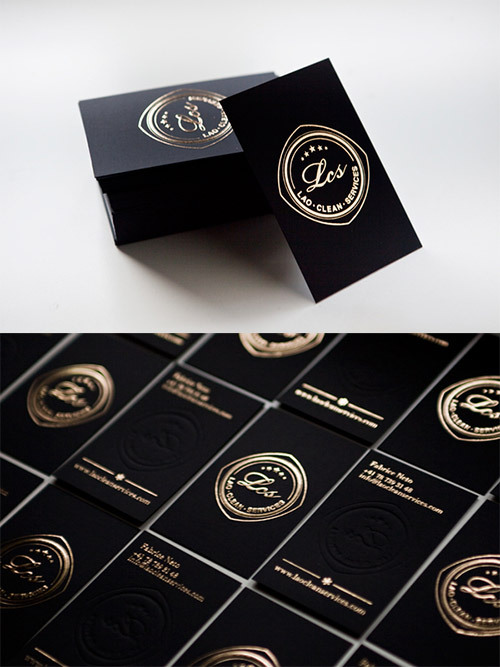 This design effectively highlights the company’s name or logo with the use of gold stamp. 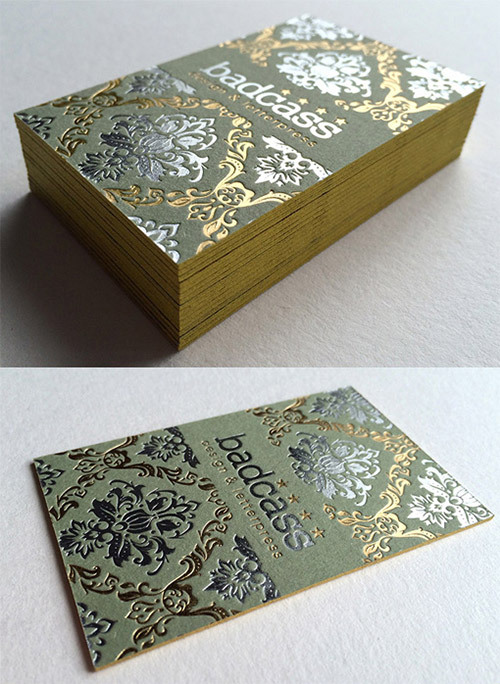 This business card with its golden letterpress results in a luxurious card with flair. A great combination of brown background and a gold typography that makes it stand out to the eyes.